the individual employee and others authorized by the employee in writing with notary approval. Complete the Personnel File Review Request Form. Submit Form to the HR Service Center via: delivery to Hadley Hall, Room 17, email to hrhelp@nmsu.edu or fax to 575-646-2806. Once the completed and signed form is received an HRS representative will contact you to schedule an appointment to review the file. When appearing for your appointment, please have a photo ID available as it is required to view and/or request copies from a personnel file. 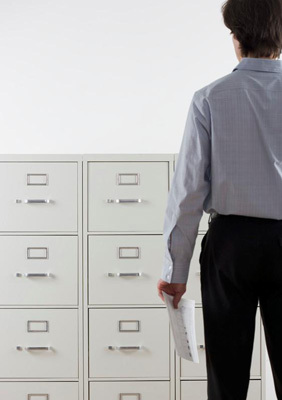 Personnel files may only be viewed in the HR Services office with an HR staff member present. Copies of documents in the personnel file can be obtained for $1.00 per page; double sided copying is standard. HR Services can accept cash or check and is not able to provide change for large denomination bills (i.e. $20 or higher). The HR Service Center at Hadley Hall, Room 17 is open during normal business hours, Monday through Friday 8:00am – 5:00pm. Visit the RMR Personnel Files page for complete details.